January 28, 2019 – A major snow storm passed through the region, and record-breaking cold is on its way. Comcast wants to make sure its customers – and members of the public – have a way to stay connected if they lose service as a result of the weather. To this end, Comcast is giving non-customers access to thousands of Illinois, Northwest Indiana and Southwest Michigan Xfinity WiFi hotspots for free. For a map of available area hotspots, click here. To access these hotspots, simply select “xfinitywifi” from the list of available networks and follow the prompts. 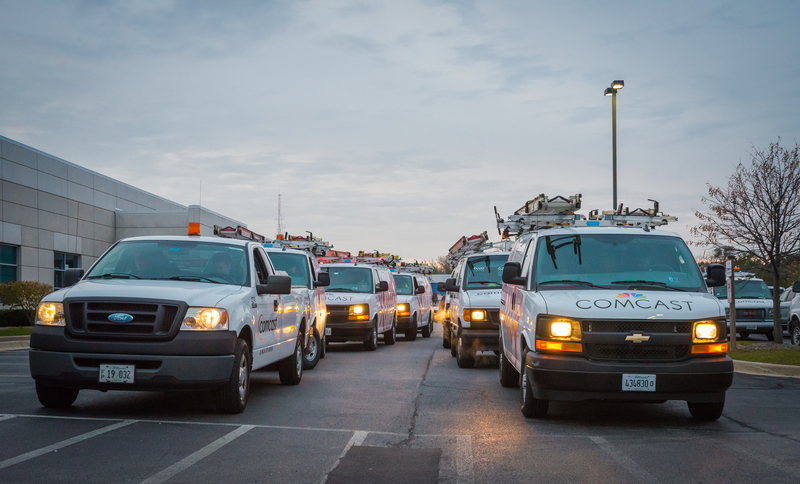 Comcast works to prepare its systems and teams ahead of storms and cold weather in an effort to ensure continuity of service. This includes everything from preparing generators to ensuring that our service vehicles are ready for tough weather conditions. 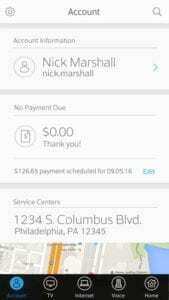 Xfinity My Account: Customers can manage their accounts, check for outages, report service interruptions and troubleshoot equipment issues from any mobile device. They also can access My Account online from their computers. Customers should make sure their contact information is current in the app in case Comcast texts or emails important weather-related updates. Xfinity Connect: Xfinity Voice customers can send and receive texts from their home telephone numbers, listen to their voicemail and access their Comcast.net email. Xfinity Stream: To ensure they can watch their favorite shows and movies in the event of a power outage, customers can download the Xfinity Stream app on their mobile devices, stream live TV and watch On Demand content over their cellular networks. They also can download TV shows and movies in advance and access them via WiFi or cellular connection. In addition, X1 customers can stream or download DVR content. Xfinity WiFi App: With more than 1.7 million Xfinity WiFi hotspots in the region and more than 19 million nationwide, the Xfinity WiFi app makes it easy for customers to locate hotspots. Customers can also visit the hotspot finder map online. Please note: If the electricity goes out, the local utility provider has to restore power before Xfinity technicians can safely start work to restore service. It’s possible that power could be restored before Xfinity services are restored if the extreme weather damages the Xfinity network. Comcast is committed to restoring service as quickly as possible, regardless of the cause of the interruption. To stay connected during the storm and cold, Comcast Business customers should use My Account for real-time updates on outages affecting their locations and to enroll to receive outage text message notifications. For more tips and resources, click here.